In short, G Suite (formerly known as Google Apps) is an Enterprise proven collaboration system available to even the smallest businesses. While there are advantages for even a single person using G Suite, the big benefits are related to collaboration that will probably drive your decision as to when to make a move. Some could argue that the bigger the company, the more they can take advantage.Let's first take a look at the benefits of moving to G Suite. Then we'll look at some examples of collaboration and the often overlooked value it can be to your company. It is much cheaper and simpler to license G Suite than most other solutions out there, especially when compared to the classic method of using Microsoft Office and its complex multi-user licensing agreements. A study by Forrester Consulting concerning the impact of G Suite on companies who adopted it discovered that the three-year ROI was over 300%. It went on to say G Suite increases productivity so much that it saves an average of 2 hours per user per week. You don’t have to keep iterating and creating multiple versions like you do when using a Microsoft Word document. With Google, one person creates the original document, a second person can review that same document, mark it up and offer suggestions, then another and another. It's left to the original writer (or other invited collaborators) to accept or reject the changes suggested. This whole process can then be repeated over and over again. A collaboration where the changes are suggested, agreed to, and implemented in real time produces better results, faster and with a lot fewer staff hours. Just to point out the obvious… if you are saving 2 hours per week per person you can increase the amount of what you can get done with no added staff. In today's world, we should be focused on increasing our employee's productivity to stay relevant in our respective industries. Moving to G Suite can help with that. These benefits create both happy employers (because more quality work is getting done) and happy employees (because they have a little extra breathing room to think critically versus walking through the mundane motions of previous systems). G Suite has taken the education community by storm! As you build your staff, having the best communication tools makes it easier to attract top talent. If a person has been used to using G Suite and then looks at your organization still using older methods, they know there will be complaints about speed and quality, meaning longer hours and more drudgery. One of the great things about collaboration is you can reach a consensus on what should be done, how it should be organized and not miss any crucial points. This process improves morale because everyone has a chance to be heard and contribute, taking partial ownership of projects. It can sometimes be a challenge to handle security when some of the team members are local, and some are remote. G Suite was designed with distributed users in mind and Google has spent billions of dollars acquiring security companies to integrate their technology into Google's systems. In addition to their excellent technology, they have extremely talented people overseeing their security. When evaluating ROI, we often only look at the cost of things. The cost of the equipment, the software, and the labor costs. But there are much more valuable measures to consider. What is the value of what they are producing? If the sales team is collaborating on a major proposal for a big client, it could mean millions of dollars won or lost based upon the quality of the proposal and how quickly they can get it to the prospect. It is not unusual in competitive bidding situations where they compare the various proposals they receive to have one win their favor because it not only looks great but contains just the right information to persuade them to buy. You may have heard the difference between the purses (winnings) of the top three horses in a horse race. The latest splits adopted by many states are 62% for the first place finisher, 20% to the second, 10% to the third, 5% to the fourth, and 3% to the fifth. But with proposals, it’s 100%, 0%, 0%, etc. Only one winner. Moving to Google gives your sales team great collaboration tools so they can win faster and more often. How valuable is producing a timely proposal for your business? Well executed planning sessions can usually increase revenues 10%, 20% or more. The ability to connect via video conference, collaborate on a presentation in real-time and leave the presentation ‘all on the same page’ makes a significant difference. What would increasing your revenues by 20% do for your company? Collaborative research can find great information about competitors, gather the biggest challenges customers are having in your industry, provide proof for each of your marketing claims increasing sales 10-30%. The difference between a well thought out presentation and a poor quality presentation can be huge. An excellent collaborative proposal can increase the acceptance rate. That would be very valuable to your company especially if you're presenting high ticket products or services. Marketing materials sometimes seem to be boring and ineffective. Well designed marketing materials with input from various parts of your organization can be killer. With the greater emphasis on content marketing, making sure the material states the benefits, answers objections and paints a desirable picture of your products/services in action can make a huge difference. Well orchestrated collaboration of that material can get the input and feedback from each of the major areas of your business...improving the outcomes considerably. A study of 200 professionals and how they collaborate. 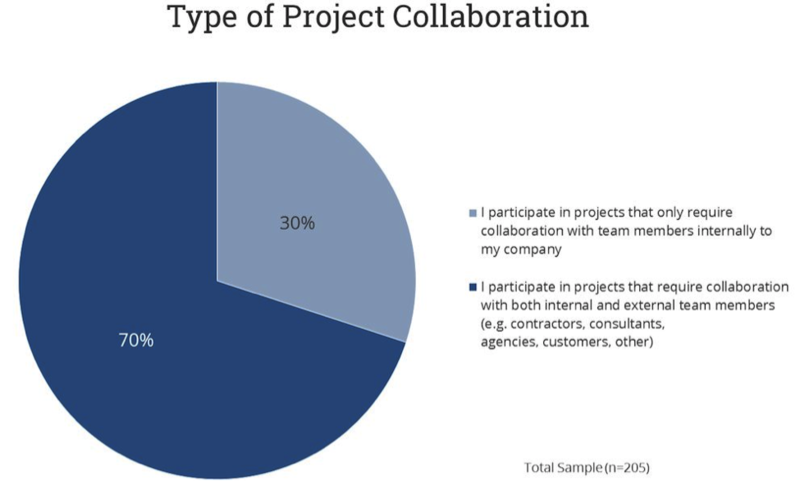 The study showed 70% of all collaborations required a hybrid of participants with both internal and external team members. Now that you see the collaborative benefits of G Suite, the big question is when is the right time? Contract workers: more and more companies rely on contract workers to supplement their employees. Consultants are used for their specialized knowledge. Collaborating with them is very common and cuts back on billing for their travel expenses, travel time and can greatly improve timeliness when meetings don’t have to be held in person. Customers: depending on the type of products or services you provide it is common to collaborate with clients on documentation creation, training, procedures, and problem-solving, all of which can be done faster and better with collaboration apps than the old fashion ways. Suppliers are playing much more strategic roles for companies. Collaborating on things like inventory, standards, subject matter expertise, research and development, documentation, training creation, etc. These can greatly improve products and supply chain issues making your company more profitable. Agencies such as ad agencies collaborating on ads, PR, white papers, case studies, marketing strategies can greatly benefit from these productivity tools as well. As you can see there are many applications where effective collaboration that easily accommodates remote workers, users on the road, suppliers, contractors, and others can increase the value to your company quite dramatically. Is it time for your organization to consider moving to G Suite? Call us at (312) 448-7406 for a free planning session to see if we can help with your evaluation of G Suite. If you decide to move forward with G Suite, we can also help with your migration planning, implementation and the quality of your transition. With hundreds of successful cloud migrations under our belts with companies such as Demandware (now Salesforce), Coalfire, and Avant, we've tackled and solved some of the gnarliest challenges you can imagine. Just ask for details when you call! Author Bio: Cloudbakers' Director of Business Development, Father, and President of JDRF Illinois’ Young Leadership Committee. 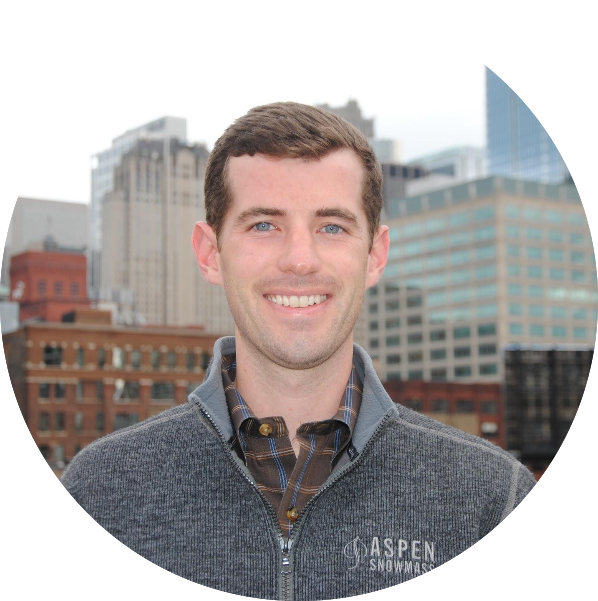 Andrew is passionate about Google, guides clients through digital transformation, all while fundraising and creating awareness of Type 1 Diabetes and the incredibly exciting medical advances JDRF sponsors.